The liquid Savon Noir soap is effective on many households washable surfaces. 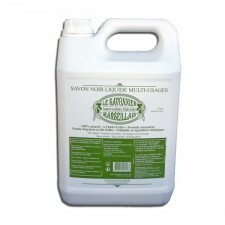 For example, the liquid soap cleans and sanitizes flooring and tile. 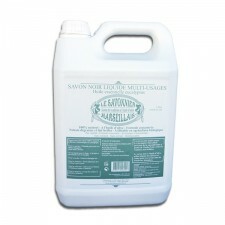 Cleans and cuts through grease on dishes, pots, and pans, even after deep frying. 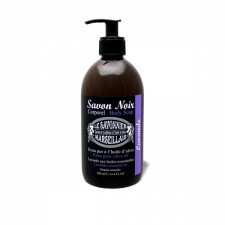 The texture of this creamy Savon Noir liquid soap makes it very convenient to adjust the dosage based on need. 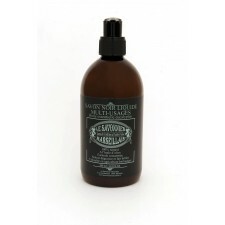 Directions: Dilute 20 ml of Savon Noir in 5l of water, and proceed to wash with a sponge for counters or mop to the floor. 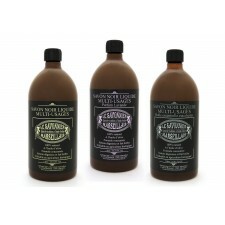 If the stains are embedded, adjust the quantity or use it directly on the stain. 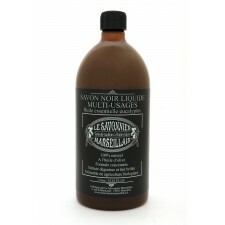 In the bathroom, use the Savon Noir liquid soap for cleaning bathtubs, counters, sinks, fixtures, furniture and flooring. 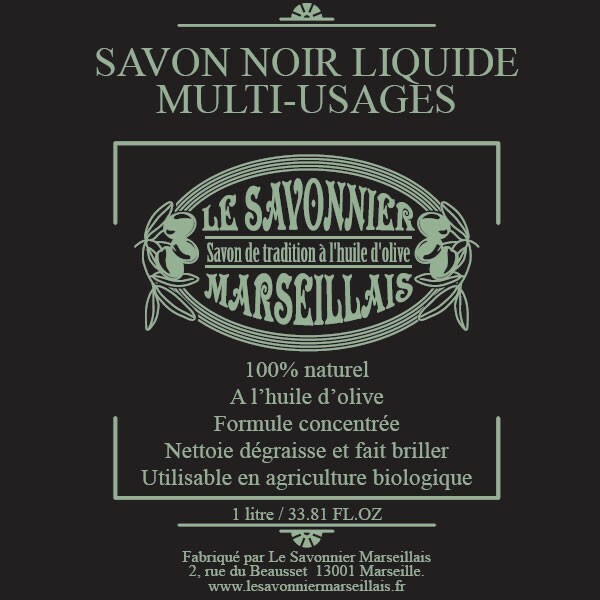 In the kitchen: household appliances, counters, backsplash ... All washable surfaces even glass can be cleaned with Savon Noir. For the latter we use a microfiber cloth for extra shine. For vehicles: cars, motorcycles, boats, Savon Noir liquid soap safely washes the inside and outside. 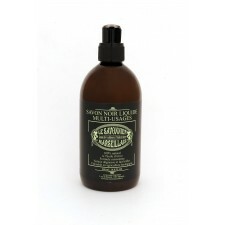 Directions: 20 ml of diluted Savon Noir in 5l of water and wash with a sponge. You can use a brush to scrub the dirtiest parts such as rims or wheels.